Employees at an Arizona crematorium were exposed to high levels of radiation after incinerating the body of a man who had undergone potent treatment for pancreatic cancer just before his death, a new case report reveals. In a grim revelation, the researchers discovered that burning cancer patients’ bodies may actually pose danger to crematorium workers. 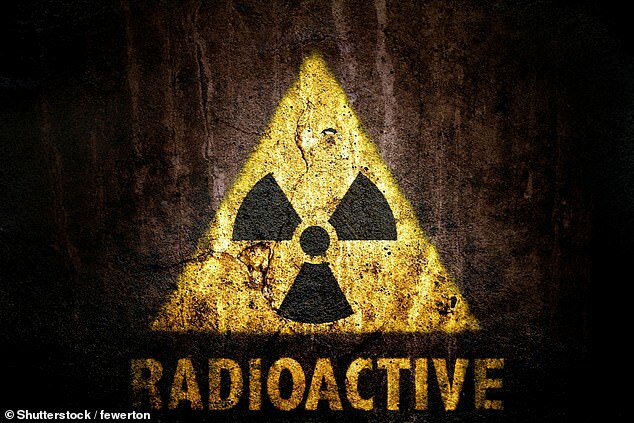 Radioactive medications are clearly and meticulously labeled with yellow hazard signs and instructions for how to use them in treatment and dispose of them properly. But a body doesn’t come with such instructions, information about the deceased patient doesn’t always travel as it should, and there are no federal regulations to ensure crematorium workers aren’t exposed to invisible poisons. Over 50 percent of deceased bodies in the US are now cremated. Cremation is considered one of the cleanest ways to dispose of remains, resulting in sterile ashes. But if something toxic is in a body, it may be heated and released into the crematorium. Such is the case with radioactive drugs. About 30 percent of cancer survivors – or 3.05 million people – have been treated with radiation therapy, and that doesn’t include those who have died. As of 2015, about 590,000 people died of cancer in the US. If about that many people die of the disease this year, 30 percent of them got radiation and half of those were cremated, that comes out to 88,500 people. That’s 88,500 whose remains could have been radioactive when they were incinerated. And one of them was a 69-year-old Arizona man. Before his death, the patient had suffered from a form of pancreatic cancer. An intensive form of radiation treatment, lutetium Lu 177 was approved by the Food and Drug Administration (FDA) last year, specifically to treat the form of cancer the patient in the case study had. It’s labelled with instructions to wear gloves and radiation shielding when handling and administering it to patients through an IV. But it doesn’t mention anything about safe handling of people who have been treated with the drug, much less their bodies. The patient was being treated with Lu 177 at Mayo Clinic in Phoenix, Arizona. A day after his last treatment, the man’s blood pressure dropped dangerously low and he was admitted to a different Arizona hospital. But the man didn’t recover. He succumbed to his cancer two days later. After another two days, the man’s body was cremated. However, the Arizona Mayo Clinic, where the man had received his last lutetium 177 treatment, didn’t find out that their patient had died – let alone been cremated – until three-and-a-half weeks later. Once they realized what had happened, the radiation safety office, Dr Kevin Nelson and study author Dr Nathan Yu grew concerned. In patient bodies, at normal temperatures, radiotherapy targets whatever specific types of cancer cells the drug is meant to treat. But isotopes – the radioactive forms of elements – can change and become more ore less dangerous when their environments change. ‘Some [isotopes] may become volatalized at a lower temperatures so a different radioactive material might be present while a body is being cremated,’ Dr Yu explains. In other words, they may emit higher levels of radiation. The Mayo Clinic sent in a team to sweep the crematorium, including the oven itself, the filter of the vacuum used in the room and the bone crushing machine, with a Geiger counter. The equipment tested at anywhere between 5,000 to 25,000 Geiger counts per minute. That’s between the 3,600 counts that an average US citizen receives in a year and the 50,000 that are the maximum annual radiation exposure that the US government permits a worker to be exposed to at their job in a single year. Even nearly four weeks later, the surface of the crematorium equipment was still significantly radioactive. But, the researchers say that it amounts to only trace exposures for people. That might explain why the crematorium operator’s urine was negative for lutetium 177, fortunately. There was, however, some active technetium Tc 99m, another isotope used in radiological diagnostic tests. At first, the research team assumed that the operator had at some point undergone some kind if diagnostic test himself. But in the end, he hadn’t, and his exposure to this second radioactive isotope had probably come from another body he handled at the crematorium, too – not the same one. Technetium, Dr Yu explained, has a very short half-life, lasting just six hours, so they surmised that the crematorium employee had most likely incinerated a different body that the compound had been used in within the past two to three days. Both Dr Yu and Dr Nelson explain that there are no recommendations or requirements for patients for doctors to pass along to patients about the safety of radiotherapies after their own deaths. And there is certainly no one passing the info along to crematoriums. But that’s what Dr Nelson wants to change. ‘As a start, it’d important for manufacturers to provide post-mortem considerations and instructions,’ he says. He also argues that there need to be better procedures for passing information about a deceased patient’s relevant history from doctor to doctor and on to a crematorium if a patient doesn’t survive. ‘Radiation risk is additive , so we want to try to keep exposures from happening frequently,’ Dr Nelson said.